The smoothie is a food marvel. You get to see exactly what goes in and it only takes seconds to make. Gritty nuts, plump berries, gloops of pure white yoghurt — a few swift blitzes and pulses later and you’re scooping up drips off the side of the glass. 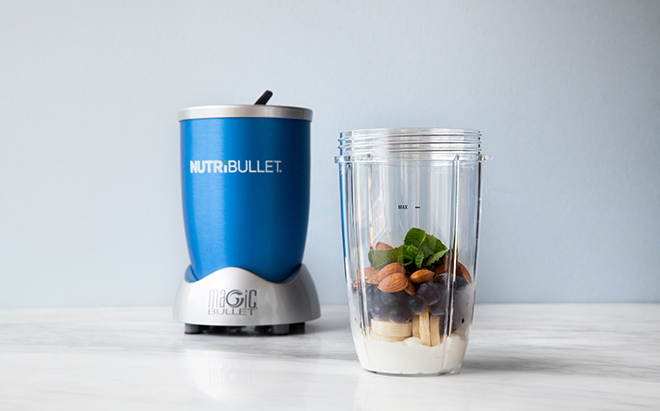 Here’s our super easy blueberry and mint smoothie made in the Nutribullet. 1. Layer all the ingredients in the cup or blender, arranging it so that the harder ingredients like the frozen blueberries and raw almonds are closer to the blades, so add them in last. 2. 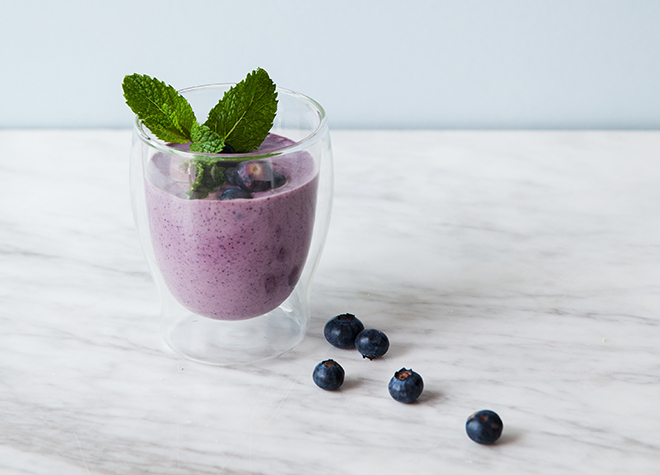 Whiz it up, pop some whole blueberries on top, and enjoy this nutritious breakfast blend. Stick blender and jug blenders also do a smashing job of this one. What’s your absolute favourite smoothie to start the day? Care to swop some recipes? Add yours in the comments.